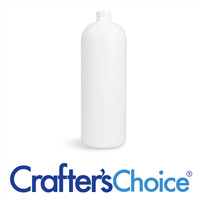 The 16 oz white HDPE bullet bottle is white in color and opaque. The bottle is constructed of HDPE plastic (recycle number 2). Complete the packaging with a 28/410 top (sold separately). Packaging for body wash, shampoo, bubble bath, or massage oil. COMMENTS: I am using these for stock lotions etc. love the large size and a great price. Thanks! "16 oz White HDPE Bullet bottle "
COMMENTS: Love the shape of the bottle. Very comfortable to use. 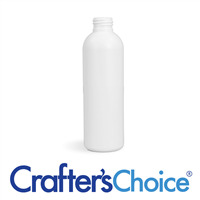 "16 oz White HDPE Bullet Bottle"
COMMENTS: Excellent bottles. I use them for everything. Labeling gives each product a different personality. 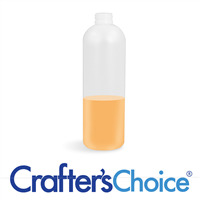 COMMENTS: This and the 32-oz bottles -- I use them to store and dispense many things; very versatile and sturdy bottles.